*EC is additive, so you measure your base water EC then add in the suggested amount. For each supplement you are using you can add up the values. The Feeding Calculator is used as a general starting point for finding the right amount of nutrients to use. Depending on your setup, you may benefit from using more, or less than the suggestion. 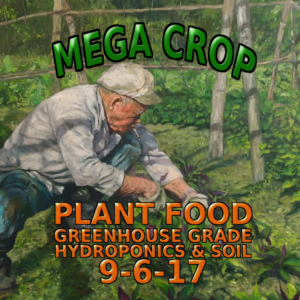 After running MEGA CROP for a few weeks you can begin to “dial-in” your feeding program, ie: modify it to achieve maximum harvest/results and have the healthiest plants! If your plant leaves are too dark green and/or have burned tips, then scale back your MEGA CROP dosage to reduce the nitrogen. 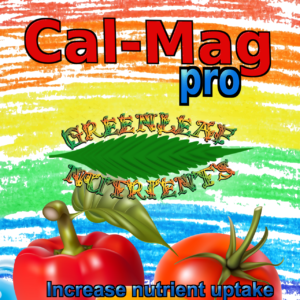 Your goal is to have the plants coloring to be a strong healthy green without burning, and you control this by increasing or decreasing the MEGA CROP dosage. If you are a new grower and not sure what color your plants should be at, browse the internet for pictures of healthy plants of your same type. You should make dosage changes for the first time in small amounts, for example changes of 10-20% increase or decrease only, and then waiting 2-3 weeks to monitor plant response after each change. Since the plant has to take time to uptake nutrients and process them, it may take 2-3 weeks to notice the results of the changes you made. Once your have achieved proper base nutrient dosage through regulating Nitrogen, then during flowering/blooming phase you can optionally add in PK booster to increase harvest. This may take some time, but you can continually increase PK boosters over several harvests to monitor for increase weight and quality. As long as you do not notice plant damage from increasing the dosage, you can experiment by increasing the dosage, and monitoring the final end results/yields. Eventually you will find the dose that maximizes your results/yields, where adding more will not give additional benefit (saturation point).